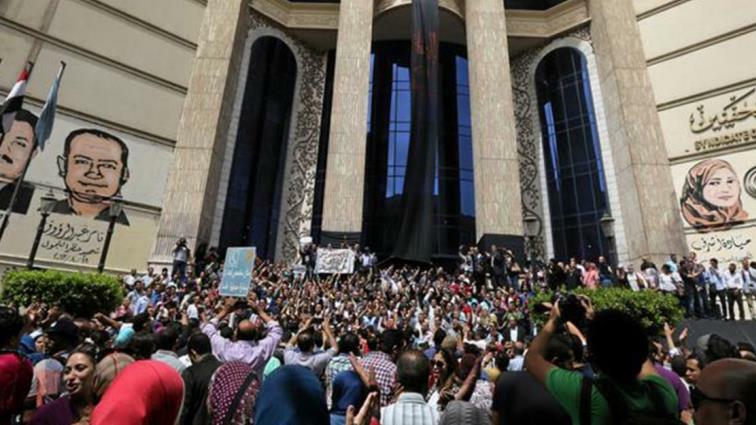 'No justice' over bloody Egypt protest crackdown 5 years on: HRW - SABC News - Breaking news, special reports, world, business, sport coverage of all South African current events. Africa's news leader. Egypt is yet to prosecute members of the security forces over a bloody 2013 crackdown on protesters that left hundreds dead, Human Rights Watch said Monday, urging “justice” for the killings. Five years ago on August 14, 2013 security forces moved in to disperse a sprawling Islamist protest camp in Cairo’s Rabaa al-Adawiya square demonstrating against the ouster of president Mohamed Morsi a month earlier. The US-based rights group says that at least 817 protesters died in a matter of hours in “the largest mass killings in Egypt’s modern history”. Since then hundreds of Islamists, including leaders of Morsi’s Muslim Brotherhood, have been convicted at mass trials. But not one member of the security forces has been prosecuted for the deaths of protesters. “Five years on from the Rabaa massacre, the only response from authorities has been to try to insulate those responsible for these crimes from justice,” Sarah Leah Whitson, HRW Middle East director, said in a statement. Egyptian officials have blamed the 2013 bloodshed on protest leaders, pointing to the presence of armed gunmen at the sit-in and the deaths of several police officers. President Abdel Fattah al-Sisi last month approved a law giving senior military officers immunity from prosecution tied to the unrest that followed Morsi’s ouster. “Without justice, Rabaa remains an open wound. Those responsible for the mass killings of protesters shouldn’t count on being able to shield themselves from accountability forever,” Whitson said. In late July an Egyptian court sentenced to death 75 Islamists over the 2013 unrest as part of a mass trial of over 700 defendants. Among those still awaiting a verdict are prominent photojournalist Mahmud Abu Zeid, widely known as Shawkan, who in May received UNESCO’s Press Freedom Prize. The dispersal of the protest camp was followed by several months of deadly clashes with police in which hundreds more people were killed. The Muslim Brotherhood was designated a terrorist organisation in Egypt in December 2013 and banned. Former armed forces chief Sisi won the presidency in 2014 after leading the ouster of Morsi following mass protests against the Islamist’s rule. Sisi won reelection with 97 percent at a vote in March against a single opponent widely seen as a token challenger, with critics blaming the president for a widespread crackdown on dissent. This entry was posted on 13 Aug 2018,12:35PM at 12:35 PM and is filed under Africa, News, Homepage Latest Stories Slider. You can follow any responses to this entry through the RSS 2.0 feed. Both comments and pings are currently closed.